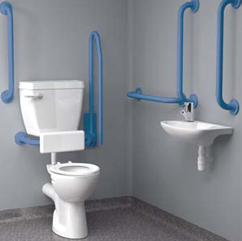 Low Level Doc M Pack with Blue Grab Rails. 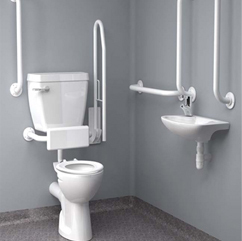 Ideal for a Restaurants, Hotels, Service Stations,Shopping Centres and other public settings..
Low Level Doc M Pack with White Grab Rails. 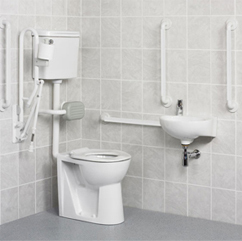 Ideal for a Restaurants, Hotels, Service Stations,Shopping Centres and other public settings..
Low Level Doc M Pack - Comes with red grab rails which are highly visable to users with visual impairments. 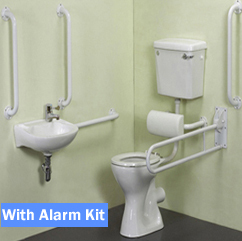 Doc M Pack with disabled alarm kit ideal for disabled bathrooms and disabled toilets. 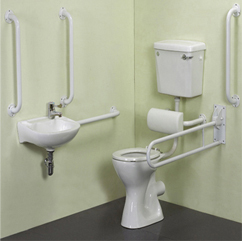 Doc M Pack Low Level With Stainless Steel Grab Rails- Ideal for commercial places which are used by public and work staff.. 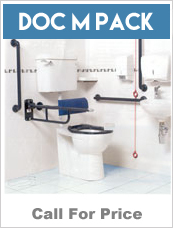 The Low Level Doc M Pack Plus - Ideal for all commercial and public settings. 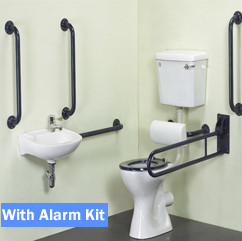 Click for more information.. 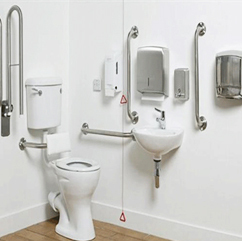 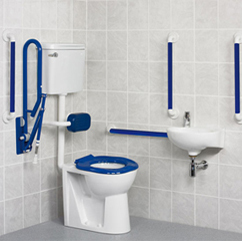 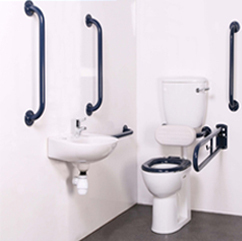 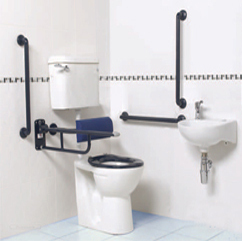 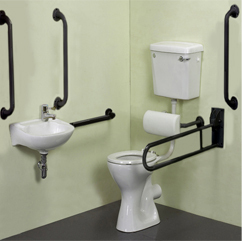 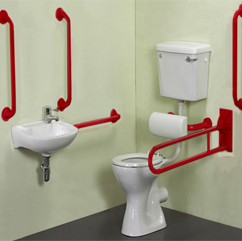 Provide a quality WC facility for wheelchair users ..